This promises to be the most epic gig in the history of everything! Every musician that has ever been a member of MCB will be performing at this show along with several special guests! Honest...not kidding...for reals....Just be there! MC will be playing with That 70's Band at The Main Pub in Manchester Ct Sat Jan 30th. Also Mc will be with Paul Bozzi and Eric Kuhn as The Bus at The Cypress in Middletown Ct Sat Feb 6th. Paul Bozzi, Eric Kuhn and Michael Cleary reunite as The Bus for a special Halloween show at The Winchester Cafe October 31st. This Friday MCB is at the Winchester Cafe on Rt 66 in Portland. The show starts at 8:30 and special guest filling in for Vin will be Chip Fenney on sax. Rumour has it there may be a percussionist or two in the house as well because it takes more than one musician to fill Vins talented shoes. So come on out for what is guarandamnteed to be a rockin good time! Join us this Friday as we take our series of cd release parties to Black Eyed Sallys in Hartford. Our latest CD "MCB Five" will be available for just $5.00! 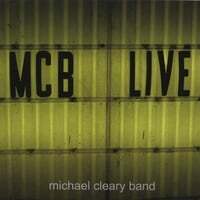 The Michael Cleary Band is MIchael Cleary - Guitar/ Vocals, Vin Delaria - Keys/Vocals, Lee Sylvestre - Guitar/ Vocals, Jedd Chlebowski - Bass, Edmund Peart - Drums/Vocals, Frank Bauer - Percussion.MCB's 5th cd is chock full of their trademark harmonies and world class musicianship. Add in their catchiest tunes ever and you have a masterful disc that gets better with every listen. Funk, Folk, Rock, Country, World Beat, Latin...MCB Five has it all. Join The Michael Cleary Band Email List! MCB enters foxwoods Wonder of it All theme song contest! MCB featured in Hartford Magazine as one of Ct's Best Original Bands! We would like to introduce Jedd Chlebowski as the new Bass player for MCB. Lots of thanks go out to Tim Wilken for his performance above and beyond the call of duty for the last year and we wish him much success in the future. Jedds first "official" gig will be at Public in Middletown on September 18th but he will be with us for a private party at OLS this Friday August 28th for the lucky folks in Old Lyme. Welcome aboard Jedd! Our Friend Eamon Cronin from Ryders on The Storm and Midnight Sun suffered a head injury from a fall from the stage while performing in Spain recently and is in need of our support. Here is the latest update from Barry Seelen, Keyboardist for the Midnight Sun. He's awake now, but he's still in intensive care. He's improving a little each day. He's going to have a long, hard recovery. A lot of people have been asking what they could do to help out with any expenses. I'm sure that he's not going to be able to earn any money for quite some time. I've been planning as trip back home @ the end of July and we booked a Midnight Sun gig @ Sully's on Fri. July 31. I doubt that he'll be able to play by then or even attend. I'm still going to play w/ somebody.We're going to get as many musicians as possible and give the gate to Eamon's family. Also, I put the 2 songs that I wrote from the Midnight Sun c.d. on a online music retailer. You can go to my Myspace and the Midnight Sun myspace to purchase a download of both songs. ALL proceeds will go to a certain head injured individual. I hope that you and your family are doing well. And I look forward to hearing from you soon. Awesome news, Eamon is off the respirator and is expected to leave ICU today. He spoke to his Father today and wished him a Happy Fathers Day. MCB on WFSB channel 3 Better Ct show! On March 6th MCB will be on the Better Connecticut show on WFSB channel 3 at 10:00 am. Join us as we rock out with Scott Haney, Kara Sundlun and the rest of their Better CT Buddies. Here is a link with a clip form the show. Enjoy! Vids from Black Eyed Sally's are up! you can listen to and write a review of "tales from the cup" by going to this site http://cdbaby.com/mclearyband . Click on any of the tracks to hear your favorite song or click "play all songs" to listen to the whole album. Scroll down to the bottom and click on "write a review" to post a review online!